This rule is a complete contradiction to the previous rule I taught you which was about leaving the space in the frame. Fortunately there is nothing complex to puzzle you up. There are times when we need to provide breathing space to the subject and sometime we need to remove the distracting objects from the frame to emphasize more on the key subject while we fill the frame with the desired attraction alone. Photography- “If it’s not good enough, you are not close enough”. Whether you are working on macros or portraits or you just have this object in front of you that demands to be the lone performer, Go ahead move in closer or zoom and fill the frame with your subject alone, leave all the clutter outside and I am sure you would be surprised with the outcome. 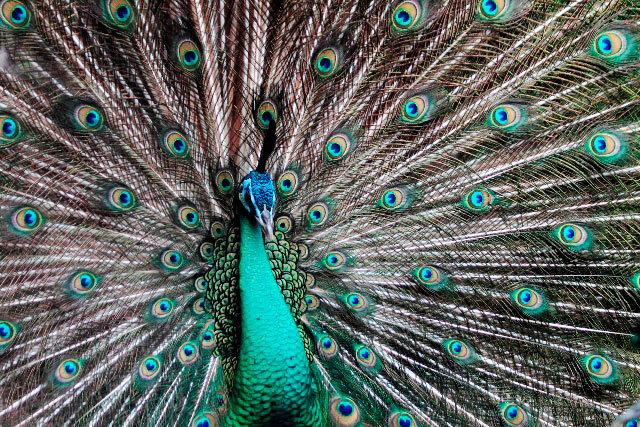 Note : Did you notice, how the photographer emphasized on the sheer beauty of this Peacock, without gathering any unwanted distraction in the frame ? Let us know your opinions in the comments below.